Peter is a 3rd year Advance Science student who worked in the lab in January-February 2017 on the Summer Vacation Research Scholarship (SVRS). Peter was working on a bacterial sequencing project in collaboration with Mike Manefield at UNSW. We have successfully used PacBio sequencing to fully and contiguously assemble the genome of a new bacterial strain from a mixed culture. Peter’s project was analysing assembled contigs from other organisms in the culture. Peter is undertaking a double major of molecular and cell biology and microbiology at UNSW. 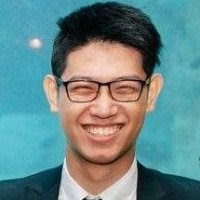 Jiehao Wang is a third year Bachelor of Advanced Science (Honours) undergraduate, majoring in pathology and pharmacology. He joined the Edwards Lab in 2016 on a second semester School of Biotechnology and Biomolecular Sciences (BABS) research scholarship. After finishing the project, Jiehao continued to work with Dr Richard Edwards in the summer of 2017 under the BABS school Summer Vacation Research Scholarship (SVRS) as an intern. During his time at the laboratory, he worked on the comparative yeast genomics project in 2016, and helped to identify Ty elements (Transposable Yeast elements) in genome assemblies in 2017. Expected 2018, Bachelor of Advanced Science (Honours) in Pathology and Pharmacology - University of New South Wales, Sydney, Australia.